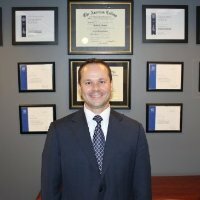 Dustin is a CERTIFIED FINANCIAL PLANNERTM Professional and is the Principal of Cape Cod Wealth Strategies & Insurance Services, LLC. He graduated from Endicott College with a Bachelor of Science in Business Administration with a Financial Management focus. He achieved his Chartered Financial Consultant® (ChFC®) and Life Underwriter Training Council Fellow (LUTCF) designations through The American College. In addition, he has been recognized by the Million Dollar Round Table* as a Court of the Table member (2012-2016), for his ability to demonstrate exceptional professional knowledge, strict ethical conduct and outstanding client service. Dustin is a lifelong resident of Cape Cod and currently resides in Bass River with his family. He enjoys America’s national pastime - baseball, visiting Cape beaches, and spending time with his family. Dustin helps individuals and businesses with wealth strategies. *MDRT is recognized throughout the industry as the standard of excellence in life insurance sales performance.